Happy New Year! 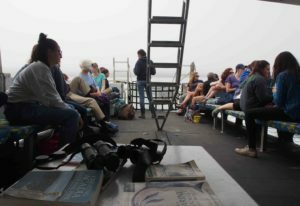 Interested in learning about some of the scientific discoveries related to marine mammals from the past year. Check out the annual Marine Mammals in the News online publication, produced by undergraduate students in INT308 (Marine Mammal Ecology and Conservation). From whales to manatees, from the Arctic to the Antarctic, from conservation to physiology, and much more – check out the stories they wrote, highlighting marine mammal science that has been published within the last year. 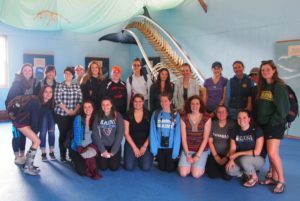 As a final project, this year’s INT308 (Marine Mammal Ecology and Conservation) undergraduate students produced the inaugural Marine Mammals in the News online publication. From whales to manatees, from the Arctic to Mexico, from conservation to physiology, and much more – check out the stories they wrote, highlighting marine mammal science that has been published within the last year.